She’s so annoying. At least she voted for Kavanaugh. I would assume she’s concerned endorsing Trump will hurt her own reelection effort in Maine. So the reason she’s “not prepared” to endorse him now is because she hasn’t finished reading all the tea leaves. Keith…Collins is my Senator and your assumption about her reliance on the tea leaves is correct. They are coming into her office by the wheelbarrow-full as we speak and she hasn’t finished reading them all yet. Her one and only goal is to get reelected and she will do anything and say anything that will win her that reelection. In that sense, she’s exactly like the other hacks, rumpswabs, sleebs and rooksanas in Congress. So listening to the concerns of constituents should not be relevant? Can you recall the day when you became a proponent of an authoritarian regime? Not me personally, but those that voted for Ozero and again to re-elect did . US Congress = 535 Idiots, Morons, Criminals & Scumbags. 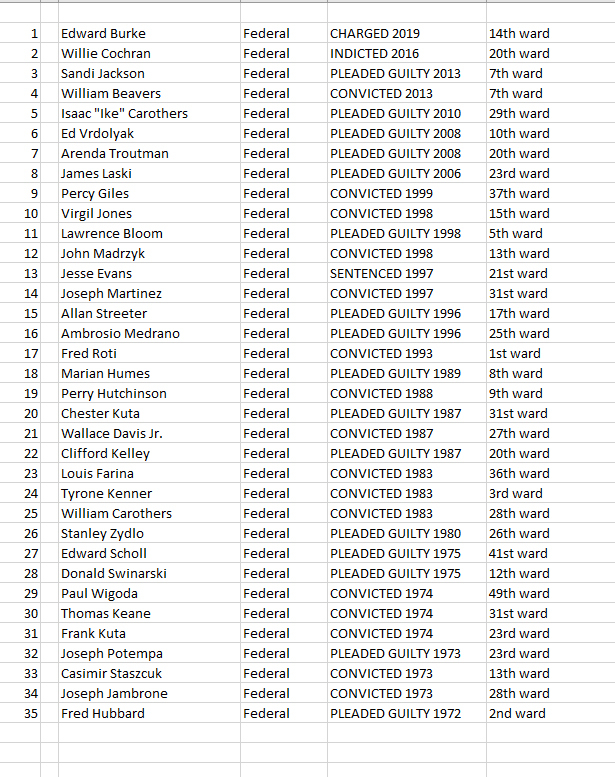 Here’s a look at the Chicago Alderthieves convicted of various corruption charges. She is always wishy-washie. If a pollster asked her for a yes or no she would be in the no opinion group. She is only 66 and could be around for a long time. Senator, United States Senate, 1997-present That’s long enough. Listening to her talk is wearing. Waiting for her to make a decision…pure exhaustion! What is the status of the bill proposed on term limits that I heard about a while back? Cruz proposed it, I think. How can she not support Trump? After all the good he has done and all the courage he has shown. Drain the swamp and replace her with a good Trump supporting Republican. Well, my Representative is pretty enthusiastic about Trump. And I bet there are a lot who would replace her in the primary. So… Back in the days of Mickey Mantle, et al I’m sure many a team was happy to get a single win in an 3-game series with the NY Yankees…..
With Maine.. it is a liberal state… we should be happy that we have a right leaning liberal or a left leaning conservative there. Conservatives gave the DEMs a senate seat in Alabama because they felt that the Conservative (albeit for different reasons) did not meet the Conservative purity tests. This is politics… Get a few senators out of that crap-hole part of the country… be happy with that… and put the effort in getting GREAT conservatives other places. Letting old dumbass whatshisface in Montana get a seat in the Senate is awful…and getting someone like Nelson-(D) out of Florida is the kind of wins you want. Collins is the ‘best’ you are going to get in Maine for now. Live with it. She’ll vote YES for Ginsburg or Thomas or … (insert name) replacement that Trump will nominate. Clarify “Political Crap-Hole” — Maine and other places with lots of Democrat control are not entirely crap-holes — although some areas could use some conservative cleanups.